Since the appearance of Orientalism in the English language and the propagation of Islamic knowledge through the Western languages, the Qur’an has been attacked in every way. Primary reason why the Orientalists have spread misconceptions about Islam and have been able to mislead many is their failure put in their best to appreciate the fuller details of Islamic sciences. Quranic Sciences or ‘Uloom al-Quran is one of such sciences, especially when it comes to the concept of different readings and what they mean.In this article I will review various approaches in understanding to the issue of Seven Ahruf, and how they have failed or succeeded in bringing clarity to this rather complex subject. Since the appearance of Orientalism in the English language and the propagation of Islamic knowledge through the Western languages, the Qur’an has been attacked from every corner and every subject. Orientalists and missionaries have taken advantage of the weakness of Muslims in reporting such knowledge and the handicap of doing so in a different language. Islam will never and can never be divorced from the Arabic language, and any attempt to convey more than the basics of Islam or fundamental principles in a different language can have detrimental results especially if such is done by way of books and without a qualified scholar. However, today we are faced with the phenomena of fast-food knowledge, reading books in weeks, cramming for exams and writing papers overnight, while graduating with a degree that somehow gives credibility and voice. Even in the case of Orientalists who have studied the Arabic language and have gone to the sources and manuscripts of the Muslims (as if that is the only requirement for scholarship), they have fallen short of giving justice to the majority of topics they have written about due to their lack of understanding fundamental principles of Islam. One example that has not been given justice to in the English language is that of ‘Uloom al-Qur’an and specifically that of the seven modes of recitation of the Qur’an. Missionaries have exploited the non-comprehensive literature available on the market on the subject. They have made all kinds of conclusions and have used English texts written by Muslims to justify their claims. Such has lead people who are unaware of the subject to great confusions and even denying the fact that such a subject exists. In this paper I will discuss the meaning of the seven ahruf and give a clear and comprehensive meaning that will remove any doubts that might have risen due to the lack of available information on the subject in the English language. I have divided this paper in four sections: misconceptions by Orientalists, misconceptions by English sources, confusion due to terminology used by classical scholars (clarifying the meaning of the ahruf and qira’at) and a conclusion that removes any doubts about the integrity of the Qur’anic text. 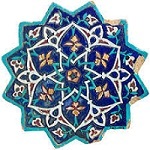 Statements as such and others have given many the false impression that the Qur’an is actually a set of readings that can be accepted or rejected and that there are different readings – hence different Qur’ans – and that even the so-called seven sets of readings have slightly different versions. Of course, for any learned Muslim, the above quote is categorically a deliberate attempt to mislead people into believing the Qur’an is not one as Muslims claim, but seven or more (like the Bible which has hundreds of versions), and ultimately the Qur’an is corrupted and hence not from God. The examples of such dishonest scholarships are too many to enumerate here, but one can rest assure that Muslims have begun responding to such misinformation in the English language. Such examples are only a start in a long race to clear out the many misconceptions that have crept in the Islamic sources available in the English language. Islam is based on sound proofs rather than conjecture, on clear information rather than ambiguous and grounded scholastic clarity rather than just opinionated information. It is not my position or my intention to criticize anyone who has written in the English language on the topic of the seven ahruf; however as Muslims we need to seek out principles and fundamental truths rather than personalities and individuals. The concept of the authenticity of the Qur’an especially related to the seven ahruf is critical. No doubt, ambiguous or unanswered information should be entertained about the Qur’an. Having said that, let us take a look at the main English sources that talk about the subject and what they have said. There are four books to my knowledge that talk about this subject in the English language: Ahmad von Denffer’s ‘Uloom al-Qur’an, Yasir Qadhi’s An Introduction to the Sciences of the Qur’an, M. M. al-Azami’s The History of the Qur’anic Text, and M. M. Ali’s The Qur’an and the Orientalists. I have read and studied all books more than once and have attended a few seminars on the subject. After a few years of research, I realized that the respected writers based their expositions on previous works and opinions rather than going back and analyzing the subject and finding the information from the original sources which are the Qur’an and the Sunnah. It seems that it has become a common trend of current writers to just cite opinions rather than analyze the subject based on research and objectivity. The problems with such an approach are that the research is not exhaustive, doubts are not answered, and building upon previous opinions (especially when not all of them are known) does not give a full picture of the issue. The research of such a subject has to be exhaustive, and has to answer all questions be they text related or related to logic and reason considering the text. Ahmad von Denffer starts off in a very simple way by saying that the Qur’an was revealed in seven modes and goes on quoting some opinions of scholars as to why these seven modes are important. However on the next section he goes on to list that scholars have around thirty-five differences in opinion on the subject of seven ahruf which complicates the issue right away, taking the reader away with a gut feeling that even scholars could not agree on what the seven ahruf represent. It is a fact that scholars have disagreed on what the seven ahruf meant, however just citing the number of disagreements only leads to conjecture. Rather one should exercise scholarship to do more research and show the truth of the matter, and stay away from numbering opinions which can create doubt in the minds of those who are not grounded in the subject. Von Denffer goes on to explain a bit more on the subject quoting Burton saying that all the rival readings are none of the less the same text. Note the word ‘rival,’ which somehow implies that such texts are different and somehow competing, even though in the end they are somehow the same text. Such language is what has damaged the understanding of those seeking information on the history of the Qur’an and the subject, and what has led missionaries to an agenda full of lies and distortions. when he says that ‘variant reading’ is not a proper term to be used for qira’at, rather ‘multiple reading’ should be used as variant gives a feeling of uncertainty. The issue with al-Azami’s section on this topic is that he does not see to take the time to differentiate between ahruf and qira’at which is very important to mention. Yes, the two are practically the same as the qira’at are the readings that have reached us from Prophet Muhammad which revolve around seven points or seven modalities (seven ahruf); however one needs to understand very clearly the difference between the two terms, and how they are connected to avoid confusion later. Such a statement is dangerous and falls in line with much of the language that we as Muslims are trying to clarify. Writers need to realize and keep in mind the connotation of each word and statement as it might misguide the reader. We do not recognize or accept some variations as if it was up to us. We know without the shadow of a doubt that such modes are divine and are not variations, nor do we say that such variations are based on absence of vowel signs or dots in the Arabic script. One of the reasons why there are so many differences of opinions concerning the topic of ahruf and qira’at is due to the meaning of the terms and how classical scholars understood them. Scholars devised different meanings for the term ahruf which led to a difference in how they approached it, what they considered ahruf and what they wrote about it. I will not go into too much detail as to the differences of opinion. One can consult Yasir Qadhi’s book, in which all the opinions on this matter are listed. However one of the most common things that lead people to confuse ahruf and qira’at was the book of Ibn Mujahid, who compiled seven famous recitations from seven famous reciters. This book was one of a kind and it served as a precedent for those who wrote on the subject after him. A doubt may arise why all the confusion amongst classical scholars when they are supposed to be united in meanings of narrations and so on. The answer is that Prophet Muhammad himself did not explain the meaning of the seven ahruf. One may ask why, and the answer is very simple and apparent to anyone with a slight understanding of language and how language meanings evolve, especially when they are codified. If the details of the seven reasons for variations were described at the time of Prophet Muhammad, it might have been beyond comprehension. Hence, rather than go into details he explained that the reasons for the modes of recitation being seven. Later on, when grammar became codified, scholars described the causes of variations in relevant words and phrases and hence they differed. The difference was never in the Qur’an, rather it was always theoretical. It is appropriate at this point to explain the meaning of ahruf and qira’at as this is what leads most people today in confusion when reading English books on this topic. The clearest explanation and the most comprehensive on the issue is given by our contemporary leading scholar from Pakistan, Mufti Taqi Usmani, who has written and answered any doubts that have risen out of any previous writings on this issue, be they classical or present. I have studied the books and hadiths related to the topic for years and have come to the conclusion that Usmani’s refutation of other scholars, his perspective and clarity on the topic and his scholarship of putting proofs and reason together is excellent. It has been brought to my attention however that since Usmani wrote in Urdu and not English, the translation of the book uses some of the same English words that might cause the very confusion that we are avoiding. For the clarity of the readers, I will give a short and concise explanation what the seven ahruf mean and what the qira’at mean. The seven ahruf are the seven modalities of reciting the Qur’an that were divinely revealed by Allah to Prophet Muhammad. These modalities have been passed on by the memorization and writing over the centuries by those who memorized the Qur’an with an unbroken chain from Prophet Muhammad. The memorization of the Qur’an was always in parallel to the writing of the Qur’an (so it achieved the highest credibility and historical authenticity), the latter being the secondary mode of preservation while the former being the most important and most apparent miracle of any scripture from God. The seven modalities represent seven ways or points of flexibility in some verses or words of the Qur’anic text, to facilitate its recitation for the different levels of people (literate, illiterate, old, young, slave and so on). The qira’at are recitations of famous reciters who adhere to the seven ahruf or modes of recitation thought by the prophet and who go back by unbroken chains of memorization (from mouth to mouth being memorized from teacher to student all the way till Companions who learned it from Muhammad), adhere to the Arabic language standards and adhere textually to the Uthmanic script which was unanimously agreed upon by the Companions around him who participated in the compilation. It is without a doubt that Allah’s promise is clearly apparent in the phenomenon of memorization as well as in the phenomenon of ijazahs or chains of learning through which memorizers acquire their Qur’an. Students learn till today the seven ahruf or modes or recitation in special schools as the Companions of Prophet Muhammad used to do in his masjid in the city of Madinah. As the people called ahful sufah (people who used to stay in masjid and dedicate their whole time to the Qur’an), today students carry the Qur’an without any change in their hands (books) and in their hearts. Other scriptures have suffered changes and corruptions throughout history. People have changed the Bible, the Torah and other scriptures for political purposes, to try to fit certain perverted doctrines in the text and for many other purposes. They have done so with ease as the people never had the ability to memorize the scriptures and guard them. The corruptors easily changed the text without people being aware. They were able to burn and destroy the originals and pick and choose which man written scripture was to be called the word of God. Compilation of scriptures were done behind closed doors and in special VIP councils, while the Qur’an has always been in the heart of the people and could never be tempered with as you cannot pen with the heart of a human being. The Muslims were part and parcel of the compilation of the Qur’an in a book as we know in the case of Abu Bakr and ‘Uthman’s compilations. If anyone even tried to attempt to change a word in the text of the Qur’an, those who have memorized it would have noticed. In order to make the change lasting, the perpetrators would have had to erase somehow the Qur’an from the hearts of the believers which was and still is impossible. Not knowing ‘Usool al-Fiqh or the fundamental principles of how to derive Islamic rulings. After dwelling in this subject for almost six years, I have come to the conclusion that most non-Arabs do not know about this topic and are confused when this is brought up. I remember taking a class with Al-Maghrib Institute on this topic and when the issue of seven ahruf came up, many students were confused and surprised. Like in the case of Moiz Amjad, the famous author of Understanding Islam Answers on the Web, (Lahore: Ishraq, 2000) Vol.1, 44. Watt was a priest with the Scottish Episcopal Church. Many people with academic titles (non-Muslims and Muslims alike) are speaking for Islam and being given public platforms to represent Islam, while they only stain Islam and misrepresent it through ignorance. What I mean here is that logic and reason cannot supersede the Qur’an and the Sunnah, but they can supersede opinions and conjecture. That ‘Uthman’s mushafs had differences in them, even though the Arabic script was written without markings accommodating many different recitations such as ‘maliki’ and ‘maaliki.’ These differences were not trivial or due to mistakes, rather they were done on purpose to preserve the seven ahruf to the minutest detail as Allah’s greatest miracle which He the Most High vowed to preserve. Another important point that must be raised here is that the variations in recital that have been preserved passed from Prophet Muhammad – peace be upon him – are not based on the absence of the markings on the Arabic words in the Qur’ans of ‘Uthman as some Orientalists such as Arthur Jeffrey (Materials for the History of the Text of the Qur’an) have said. If such was the issue, there would have been a tremendous number of other words which could have had variations based on the text, but we find that such is not the case. Rather we find that the variations are divine and strictly preserved as they have been revealed to Prophet Muhammad, and no other variations can be ascribed or added even though the script would in theory allow it or it would not change the text or theology of Islam. Ali, Muhammad Mohar, The Qurʼan and the Orientalists: An Examination of Their Main Theories and Assumptions, 220. A member of the ICRAA.org team wrote to Mufti Taqi Usmani about the issues with translation He took of notice of this and in his reply mentioned that he has advised the publisher to make the due changes in the next edition of the work. Some and not any. This is very important as it shows that this was purposely done by Allah and passed on meticulously, and it is not just any haphazard change. 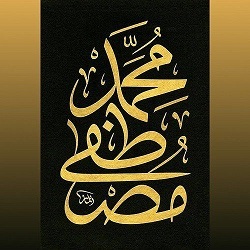 Each flexibility in the text has a chain that authenticates its origination from the mouth of Prophet Muhammad. Other words in the Qur’an could be applied to this flexibility as the written text devoid of vowels and marks would allow it; however this is not the case, showing again its solid origins. Is there any earlier Islamic sources for the reliability of the 7 ahruf before the hadith collection of al-Buhkari? 7 Ahruf have been mentioned in many works that predate Sahih of al-Bukhari (d. 256 AH) e.g. I do not have detailed knowledge on the manuscripts of Sahih al-Bukhari but it has been transmitted down to us very much like the transmission of hadith reports from the Prophet (saaw) down to him. Translation according to Hafs: O ye who believe! when ye prepare for prayer, wash your faces, and your hands (and arms) to the elbows; Rub your heads (with water); and (wash) your feet to the ankles. If ye are in a state of ceremonial impurity, bathe your whole body. But if ye are ill, or on a journey, or one of you cometh from offices of nature, or ye have been in contact with women, and ye find no water, then take for yourselves clean sand or earth, and rub therewith your faces and hands, Allah doth not wish to place you in a difficulty, but to make you clean, and to complete his favour to you, that ye may be grateful. According to Warsh :who believe! when ye prepare for prayer, wash your faces, and your hands (and arms) to the elbows; Rub your heads (with water); and your feet to the ankles. If ye are in a state of ceremonial impurity, bathe your whole body. But if ye are ill, or on a journey, or one of you cometh from offices of nature, or ye have been in contact with women, and ye find no water, then take for yourselves clean sand or earth, and rub therewith your faces and hands, Allah doth not wish to place you in a difficulty, but to make you clean, and to complete his favour to you, that ye may be grateful. The kinds of variance involved do lead to some variation in meaning but the theme remains the same and it never leads to contradiction. As for the case you have mentioned, while there are two recitations (أَرْجُلَكُمْ) and (أَرْجُلِكُمْ) the meaning does not really change as some have alleged. With the (أَرْجُلَكُمْ) recitation “washing the feet” is proven beyond doubt but with (أَرْجُلِكُمْ) “wiping/rubbing the feet” is not definite and certain. Scholars have discussed this at length from grammatical angle. (Please refer to classical commentaries for the discussion is too technical to be presented here). SO basically the ‘Warsh translation’ you have given is itself questionable. While the meaning is clear with one recitation and ambiguous with the other, the clarity comes from what is clear. They are like two verses and since Qur’an explains Qur’an the certain ambiguity is removed by the unambiguous. Moreover, this verse was revealed well after the ablution was in practice and all authentic sources tell us that the Prophet (saaw) taught washing the feet. Since sunnah is the primary commentary of the Qur’an, this determines the meanings of (أَرْجُلِكُمْ) recitation. A point to note is that even those followers of Sunnah who have adopted (أَرْجُلِكُمْ) recitation for routine go for washing of the feet. Back to the issue, the two recitations are valid but the variance in meaning suggestion in this case is wrong. Otherwise, yes some variance of meaning is involved but the theme remains same and it never leads to contradiction.